Excavations may shed new light on early modern humans and Neanderthals in the Levant. Situated in the western Galilee region of present-day Israel, Manot Cave lies about 10 km north of the Hayonim Cave site and 50 km northeast of the well-known Mt. Carmel cave sites. 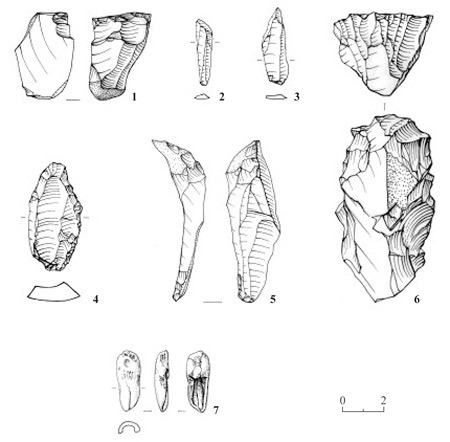 Although less-known than the well-publicized prehistoric "sister" sites of Qafzeh and Kebara, the cave has recently yielded evidence of human occupation dated back to at least Upper Paleolithic times, when early modern humans and Neanderthals are suggested to have coexisted around the Mediterranean and further north into present-day Europe. Adding to evidence uncovered at other similar locations, scientists hope that the finds of the cave will help elucidate the story of early modern human and Neanderthal existence in the Levant, and perhaps even help answer questions related to one possible stage in the spread of modern humans from Africa to Europe. Now, a team of archaeologists from the Israel Antiquities Authority, along with students and volunteers, will return to the cave site during the summer of 2013 and reopen an investigation that began first with a 2008 survey and 2010 excavation that turned up some promising signs. The finds are particularly significant in light of the fact that the cave was blocked by natural rockfall about 15,000 years ago, sealing it from further disturbance by any subsequent natural or human elements. It was first discovered during construction activity in 2008 that damaged the roof of the cave. A research team from the Cave Research Unit of Hebrew University of Jerusalem was quickly called in to survey the site. In that survey, they recovered a human skull, later determined to be that of an anatomically modern human, and other archaeological remains that were reported to the Israel Antiquities Authority (IAA) for further exploration. 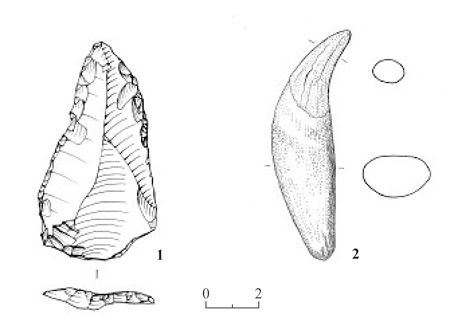 The IAA subsequently conducted another survey in 2008 and then a full-scale excavation in 2010. Animal remains included that of large mammals, such as horse, mountain gazelle, fallow deer, red deer, bear, aurochs, and hyena, as well as microfauna. Additional human bones turned up, as well. Speleothems (secondary mineral deposits formed in the cave), which predate human occupation, were found in abundance throughout the cave. 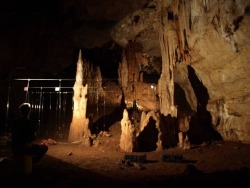 Scientists will use speleothem samples to date the human occupations using U-Th dating and isotopic analysis, which will also be helpful in reconstructing the paleoclimate in which the cave existed. 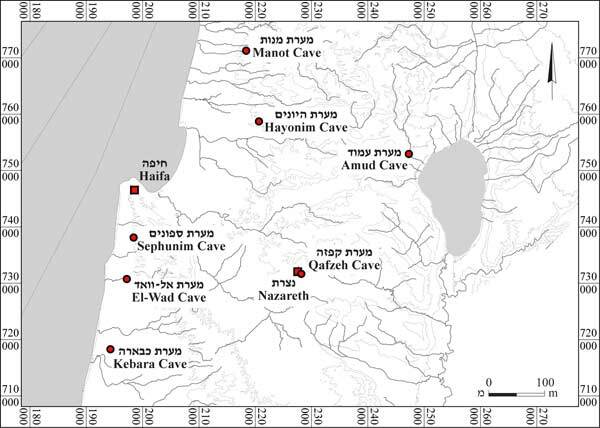 More about the Manot Cave excavations can be found at the Manot Cave Preliminary Report page, and information about how one can participate is located at the Findadig website of the Biblical Archaeology Society.